Retro eighties movie memorabilia shirts by Timewarp. Catchy red SAVE FERRIS slogan by Timewarp as seen in the film. Wear it and take a day off, life moves pretty fast. Eighties designer look. Have fun wearing this Peanuts inspired Charlie Brown classic. Great for baseball, kite flying, football or walking Snoopy. Good Grief! Vintage distressed look LONDON CALLING apparel features Union Jack and English lion crest. Classic punk rock Clash song lyric on retro tees, sweatshirts, long sleeves, hoodies, gifts and girl shirts. 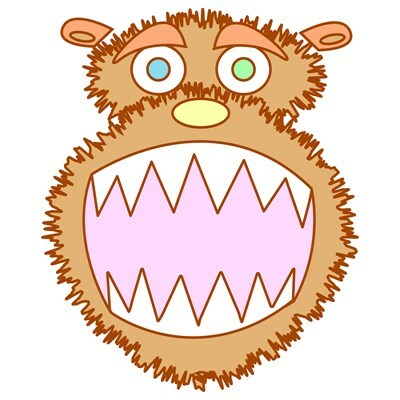 Grrr Bear is brown and fuzzy with a big bite and blue and green eyes. Animal tee cartoon face shirts from our Timewarp menagerie.Fun gear for men, women, kids or baby and a unique gift for bear types. Space Invaders High Score! tee with colorful orange retro 80s video game alien and vintage gamer slogan. T-shirts, sweatshirts, mugs and gifts for arcade collectors, geeks or hipsters by TImewarp. Luis Vuitton inspired Space Invaders print with attacking retro 80s video game aliens in designer colors. High style for the finer arcades of the world. STOP WARS anti-war apparel. Be a star in this Stop Wars peace slogan tee from Timewarp. Red lines with bright yellow outline retro space logo on tshirt, sweatshirt, mens, womens and baby wear. Cool green mutant Space Invaders apparel - retro 80s video game 3D alien. T-shirts, sweatshirts, mugs and gifts for arcade gamers, geeks or hipsters-Mens Womens Kids and Baby sizes.Only from Timewarp. Satans Sadists and Hells Blood Devils retro b-movie horror tees with film illustration and trendy color fade. Vintage rock n roll designer style tees, sweatshirts and girl shirts by Timewarp. Get back to the eighties in this retro tribute to Cosby's TV Huxtable family. 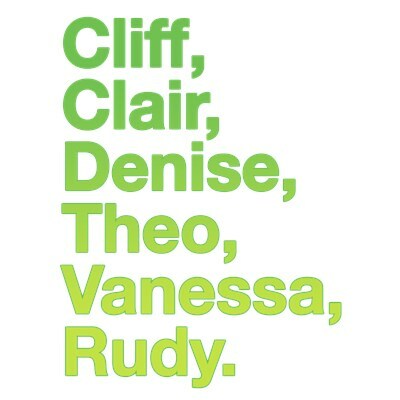 Vintage 80's comedy with Cliff, Clair, Denise, Theo, Vanessa and Rudy stylish graphic designer shirts and tees.